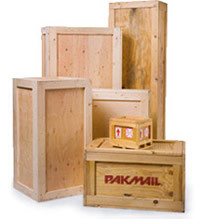 Pak Mail Tallahassee packs and ships heavy, oversized, and fragile items, including fine china and crystal, paintings and sculptures, machinery, and industrial equipment. Our certified packing experts utilize state-of-the-art packing and custom crating processes to protect valuables during shipping from Tallahassee. We secure shipments on pallets or skids to provide additional stability and ease in handling. We’ve even palletized an 800 pound set of Snap-on tools along with the toolboxes.